NOTE: This edition features the same content as the traditional text in a convenient, three-hole-punched, loose-leaf version. Student Value Editions also offer a great value; this format costs significantly less than a new textbook. Before purchasing, check with your instructor or review your course syllabus to ensure that you select the correct ISBN. For Student Value Editions that include MyLab™ or Mastering™, several versions may exist for each title – including customized versions for individual schools – and registrations are not transferable. In addition, you may need a Course ID, provided by your instructor, to register for and use MyLab or Mastering platforms. MyLab™ is the teaching and learning platform that empowers you to reach every student. By combining trusted author content with digital tools and a flexible platform, MyLab personalizes the learning experience and improves results for each student. Learn more about MyLab Business Communication. New - The Future of Communication takes a look at innovative technologies that are reshaping business communication, including real-time translation, haptic communication, virtual and augmented reality, gestural computing, and automated emotion recognition. New - Each chapter opens with insights from a successful professional, emphasizing concepts and valuable skills that students will explore. Updated - Revised annotations in model document before/after pairs make it easier for students to see the specific changes made to transform ineffective messages into effective ones. 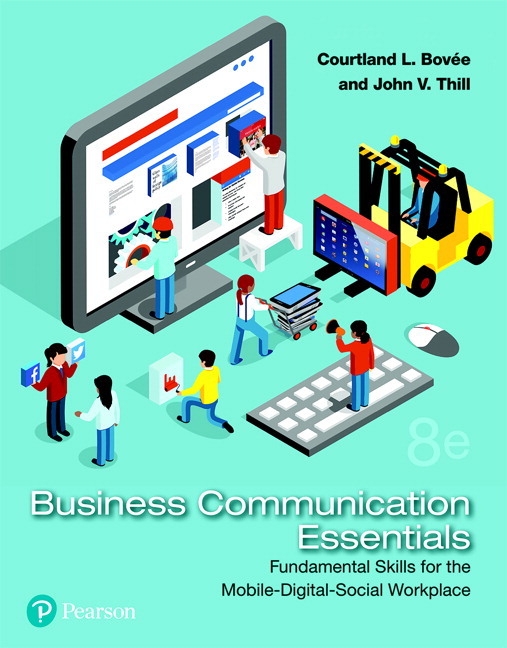 New - With a heavy emphasis on business English improvement, the text provides students with a full range of on-the-job skills that today’s communicators need, from writing conventional printed reports to using the latest digital, social, mobile, and visual media. 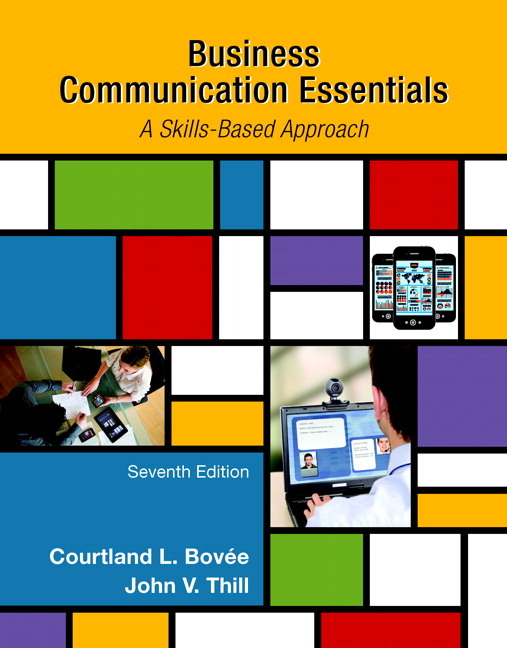 New - Nearly 70 new or substantially revised figures with 66 annotated model documents, 27 examples of mobile communication in business communication, and 25 examples of social media. New - More than 80 new questions and student activities; one-third of the communication cases are new. A modular organization empowers instructors to adapt the text to their own learning objectives. An email hotline provides immediate answers to any questions or concerns instructors may have. An Instructor Resource Center provides technical support and downloadable content, including the Instructor’s Resource Manual, Test Bank, TestGen® Computerized Test Bank, and PowerPoint presentations. Dynamic Study Modules help students study chapter topics on their own by continuously assessing their knowledge application and performance in real time. Improve student results: When you teach with MyLab, student performance improves. That’s why instructors have chosen MyLab for over 15 years, touching the lives of over 50 million students. The Future of Communication takes a look at innovative technologies that are reshaping business communication, including real-time translation, haptic communication, virtual and augmented reality, gestural computing, and automated emotion recognition. Each chapter opens with insights from a successful professional, emphasizing concepts and valuable skills that students will explore. Revised annotations in model document before/after pairs make it easier for students to see the specific changes made to transform ineffective messages into effective ones. With a heavy emphasis on business English improvement, the text provides students with a full range of on-the-job skills that today’s communicators need, from writing conventional printed reports to using the latest digital, social, mobile, and visual media. Nearly 70 new or substantially revised figures with 66 annotated model documents, 27 examples of mobile communication in business communication, and 25 examples of social media. More than 80 new questions and student activities; one-third of the communication cases are new.